Beau began his career under the mentorship of Bob Thacker, the originator of the most viral campaign of the 2000’s, Elf Yourself, and architect of Target’s ascension as a market leader. As his understudy, he launched 14 private label brands across OfficeMax’s channels and went on to launch a celebrity endorsed product line that went on to be featured on Oprah, Rachel Ray, and many other national outlets. 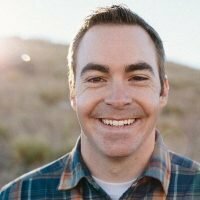 Beau went on to co-found Clymb Marketing, a digital marketing agency that not only doubled every year for 4 years straight, becoming one of the fastest growing agencies in Colorado but also double several clients businesses along the way. In 2016, Beau was recognized as one of Boulder’s 40 under 40. In 2017, Human Design acquired Clymb Marketing and brought his team in-house to better serve their clients including, Netflix, Nike, the Discovery Channel and UN. Collectively, the team was recognized by DigitalMarketer as the Agency of the Year.